Bill Ferguson age 16. Violins in unison. Six youthful members hard at work. 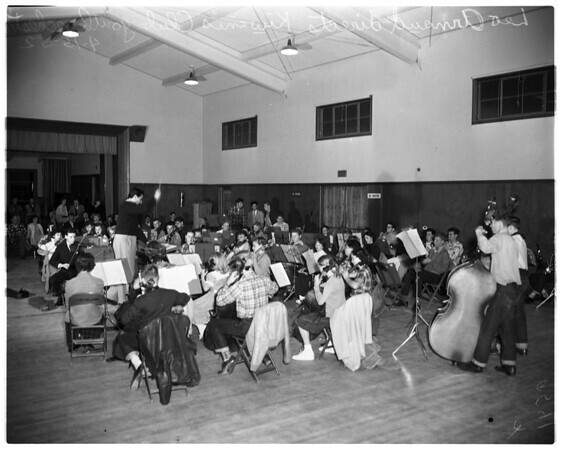 Overall view of orchestra, Lee Arnaud, conductor. Lee Arnaud, conducting the youth orchestra".